We are a leading Manufacturer of deep drawn flow formed & fabricated sheet component. 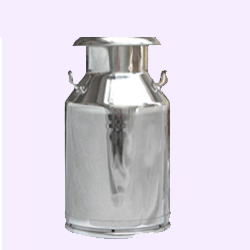 Geeta Industries pioneer the core technique for developing & Mass producing, stainless Steel surgical Equipments, Milk Dairy Equipments, S.S. 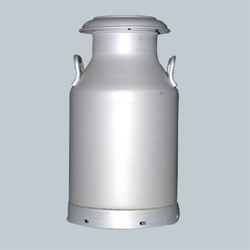 Agricultural Spray Pumps, Kitchenware utensils or any kind of Hollo wares as per customer specification. 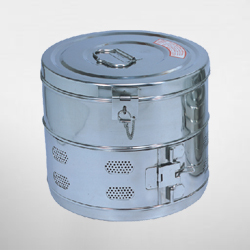 We are the leading Metal Utensils Supplier. 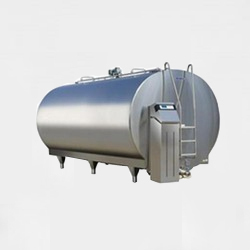 Development and production activities are strongly supported by modern machinery. In a house tool room computer aided design and manufacturing facilities enable us to make certified product of B.I.S (Bureau of Indian Standard). Our compound section equipped by a battery of deep drawing press of all type, Punching press, Turning machines, Cutting machines, Orgon welding machine (tig & mig both) buffing machine which gives any type of finish. We can handle any type deep drawn (Shallow ware), round or square in shape. Please feel free to send us your sample/drawing/blue prints or even basic idea which you want to implement in Stainless Steel, Aluminum or Brass.